I was asked to participate in the Boston Fashion Week this year, unfortunately due to fiances and being fifteen , I couldn’t do it. Hopefully you will see me in the future! I love what I do. I do it because I feel that it gives me something to look forward to during my sometimes really normal life. I do it to have a little money. But mostly, I craft and sell my items because it is so cool to me that I can put my items out into the world! I try to NOT blend in. I pride myself on thinking outside the box when it comes to my style, personality, and lifestyle. I love to be random, and make people look twice. I rarely stay with anything. I bounce from one thing to another on a whim. But one thing always stayed with me. Crocheting on my German-made spool knitter. I do that when I'm happy, or sad, or angry or bored. I started when I was 8 and have been making chokers, headbands and bookmarks since then. When I had made so many chokers that I had given at least two to every person I knew, I decided it was time to start selling them. I have now grown to other projects, such as my beaded necklaces and PunkedUp headphones, as well as recycled accessories and photographs. My life. My Family. Movies, music, books. Ideas that I find online. Pictures of people whose style I admire. Craft websites. Just walking around in this world, everyday I find things that I find inspiring. Omgsh, I love everything I make. I'm having a really hard time picking something to describe! I think I will go with my beaded accessories though. 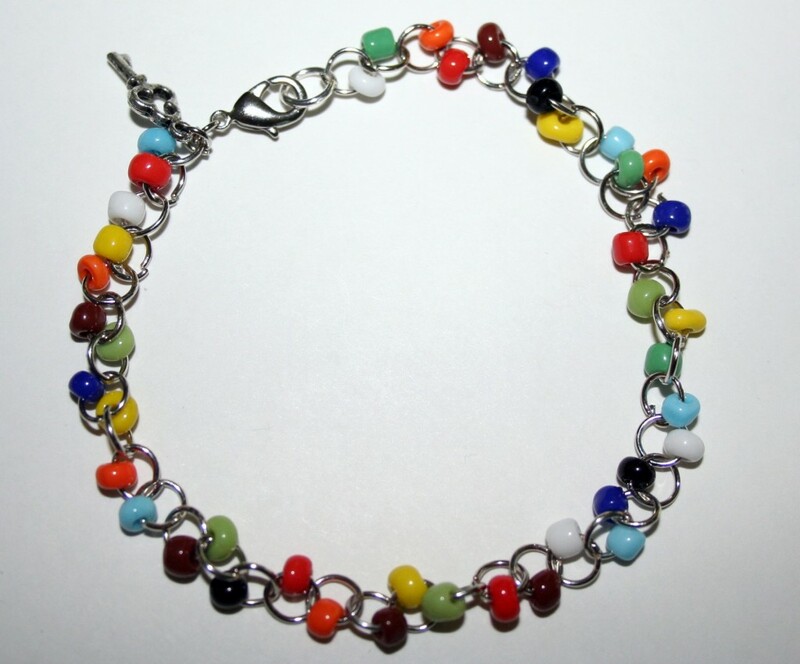 I love making my anklets, bracelets and necklaces. Each one is so dainty, whimsical and FUN! They're not something you see everyday. 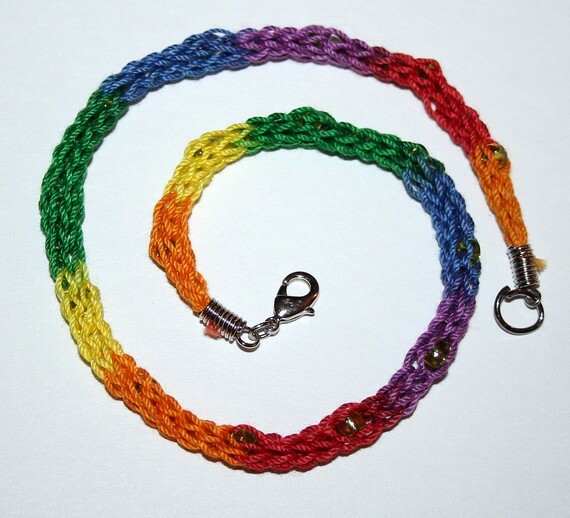 I love that they can look really elegant or really funky, depending on the colors and size of jump rings I use. 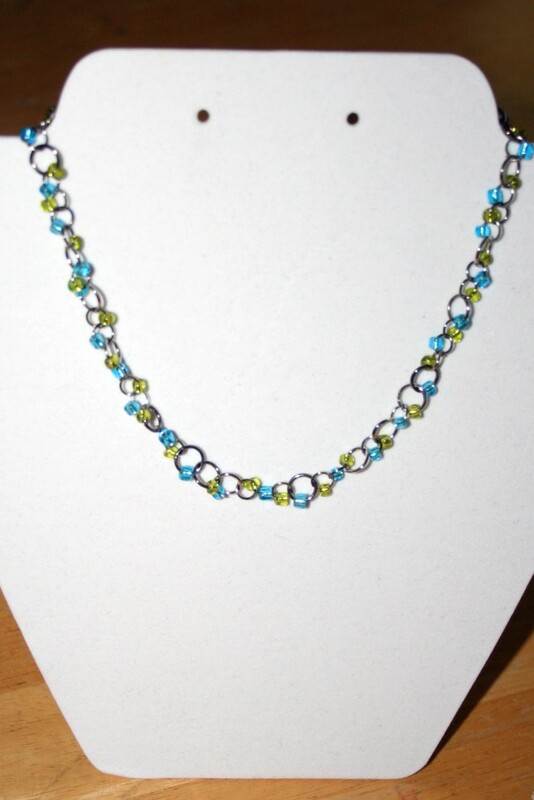 I make them using jump rings and beads, beading every individual jump ring. It takes so long!!! Its so much fun tho :) I was inspired by an item that I saw online, but thought that I could make it myself for a whole lot cheaper. I needed a unique accessory for church dress and thought it would be a perfect. The result turned out so cute, I decided I had to make some more. My friends and family love them! 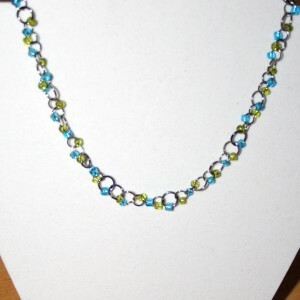 I give this my personal touch by adding a neat charm to the end and using unique beads. 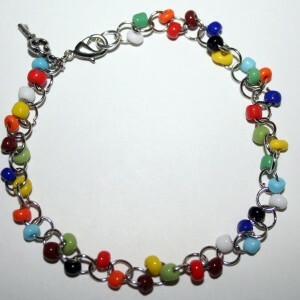 This piece stands out to me because it is so bright and colorful. One more detail I want to add is that I started my line, PunkItUp, for teenagers. I wanted teenagers like me to have fun, random, and funky accessories that are affordable and unique. I sell my crafts on my Etsy shop, PunkItUp. Because its personal and unique. Every piece has a story. 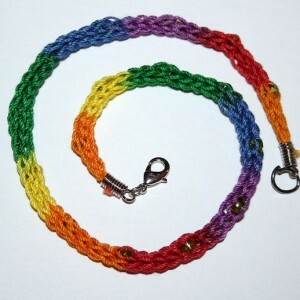 I try to buy as much handmade as I can , because each item is made with love. And with handmade items, you will never get the same item twice. You have a certain originality with handmade that you don't get with mass-produced items.